It's got 775 horsepower, a top speed of 217 mph and it's painted bright orange. What's not to like? What do you do when you already have a German-built and engineered high-performance luxury sedan sitting in your garage? Aside from driving it as much as possible, you look to find ways to add some more power, of course. Enter aftermarket tuning specialists German Special Customs which has just unveiled an even more potent CLS63 AMG tuning kit. 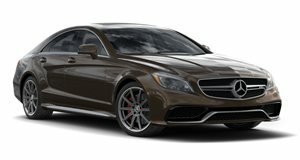 Called the CLS63 AMG Stealth, the firm upgraded the car’s 5.5-liter twin-turbo V8 to 750 horsepower and 848 lb-ft of torque – an increase of 225 hp and 332 lb-ft over the stock version. And with this extra power comes even greater performance capabilities, as the Stealth rockets from 0-62 mph in just 3.7 seconds and has a top speed of 217 mph. Yes, that’s well into serious supercar territory. Other kit additions include a KW coilover suspension with front-axle adjustable dampers, 20-inch wheels, unique front bumper with LED daytime running lights and a redesigned hood. The exterior is finished off with improved side skirts and fenders, four-pipe exhaust and a rear bumper complete with a carbon-fiber diffuser and air outlets. Official pricing for the package has yet to be announced.